For those living in rural areas and other settlements far from the reach of any internet access, a network of balloons is here to help. 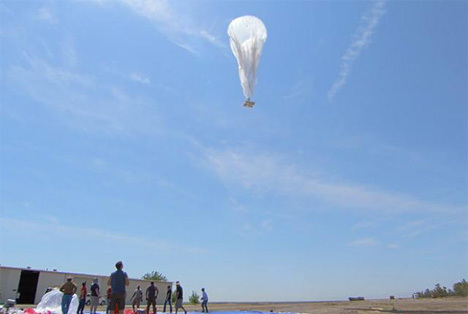 Project Loon, a Google venture, wants to bring the internet to everyone. 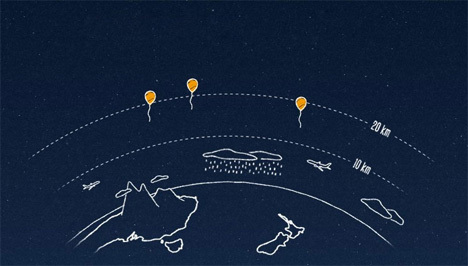 Project Loon is essentially a network of internet-delivering balloons. Each balloon floats at about 20km above the earth’s surface, in the stratosphere. This layer of the atmosphere has slow-moving, alternating currents of wind, which allow technicians to steer the balloons in paths congruent to others, as well as a ground station. This is all done to shape a massive, floating internet grid. It is purported to have a connection speed about as fast as 3G and will first take shape above New Zealand. Now the warm glow of the computer screen filled with images of funny cats and adorable sloths will keep even more of the world awake into all hours of the night.